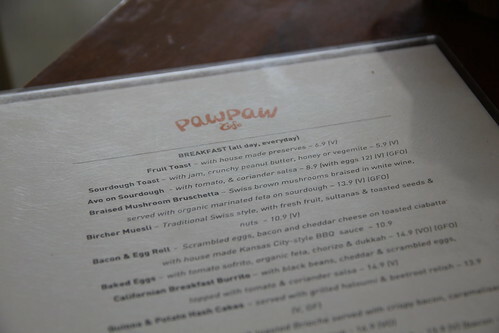 As promised, this is the post of PawPaw Cafe, which is just opposite Foxy Bean! SaC and myself went to Pawpaw Cafe quite a while ago back in November 2012. A few parking spots are available just behind the cafe and we were lucky then to get a spot! SaC and myself took our own sweet time deciding what to have that day. Well, I was tossing between the 'Baked Eggs' or 'Corn Fritters' and I finally chose the 'Baked Eggs' while SaC had the 'Quinoa & Potato Hash Cakes'. But first up... our drinks! 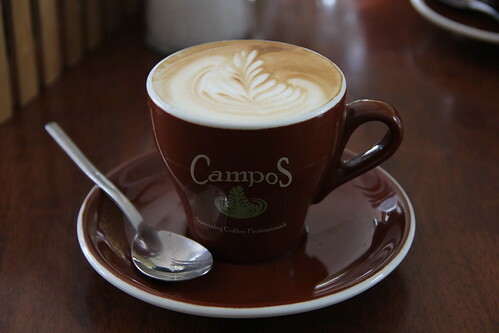 Their coffee is from Campos and I had the usual skinny flat white. 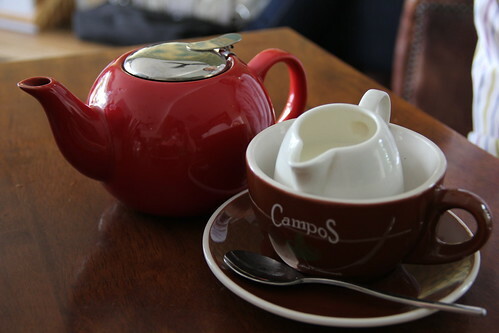 SaC had his English Breakfast tea. 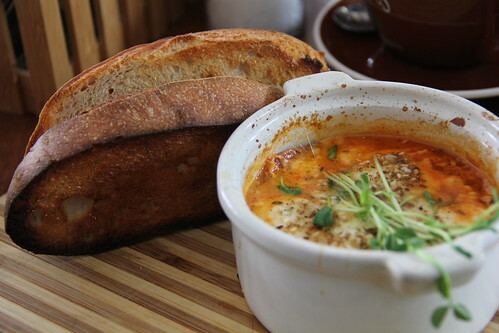 The baked eggs looked quite oily at first glance but it is actually the tomato sofrito. It was quite a good meal. I am just wondering whether it was too salty with the combination of chorizo and feta? Anyway, it doesn't matter, it was delicious that I had to use the bread to soak up the sauce and spices! ﻿Three huge hash cakes were served for SaC with perfectly grilled haloumi. 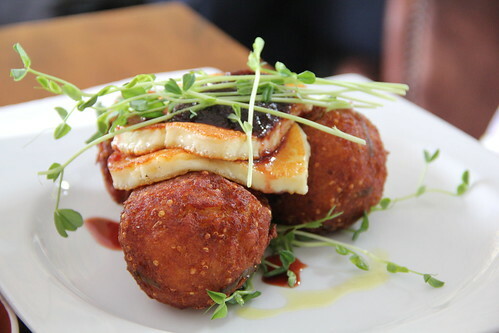 I love haloumi! What is lacking in this dish is some kind of sauce or more sauce is needed actually. I think it is a little too dry. Otherwise, crispy hash cakes but a little bland mixture of quinoa and potato ... SaC commented that he was so full after this meal. 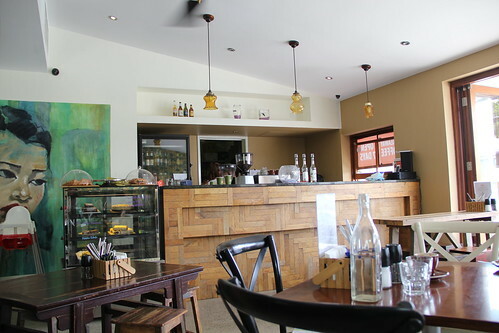 I think Pawpaw is a nice cafe and I am sure that I will return one day.